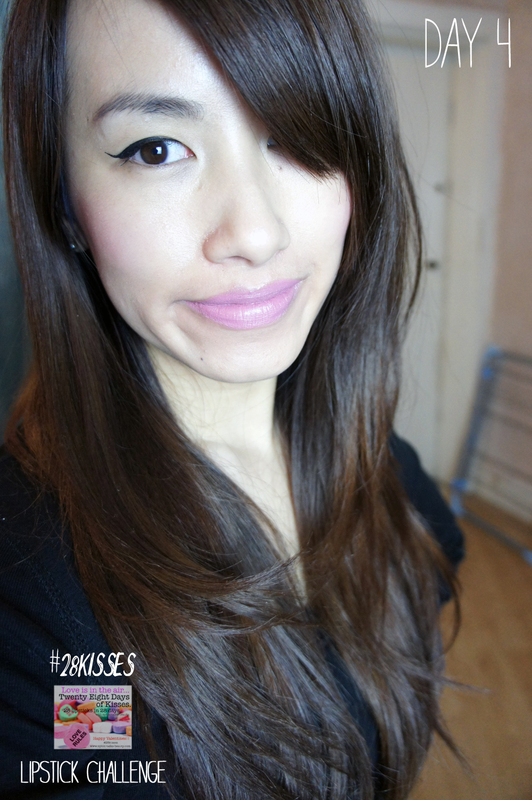 Todays #28KISSES Lipstick (for more info READ HERE) is Mac Matte Lipstick in Pink Plaid. Pink plaid is a blue toned, dusky pink and again is one that I love but seldom wear because the shade is too cold for my skin tone! I prefer to wear this one under a Cherry Lipgloss to warm it up a bit, but Today I wanted to show you it’s true colour! Like all Matte lip colours it bodes well to wear it over a slick of lip balm to avoid gross, flaky lips! I do find this MAC Matte Lipsticks quite moisturising and applies nice and smooth! However if you do have flaky lips then there’s no hiding it from this one! So remember to exfoliate! 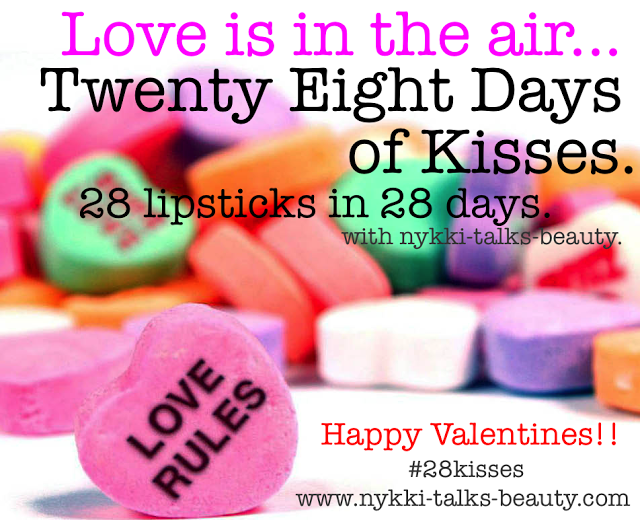 Don’t forget to check out these ladies #28KISSES tags too! 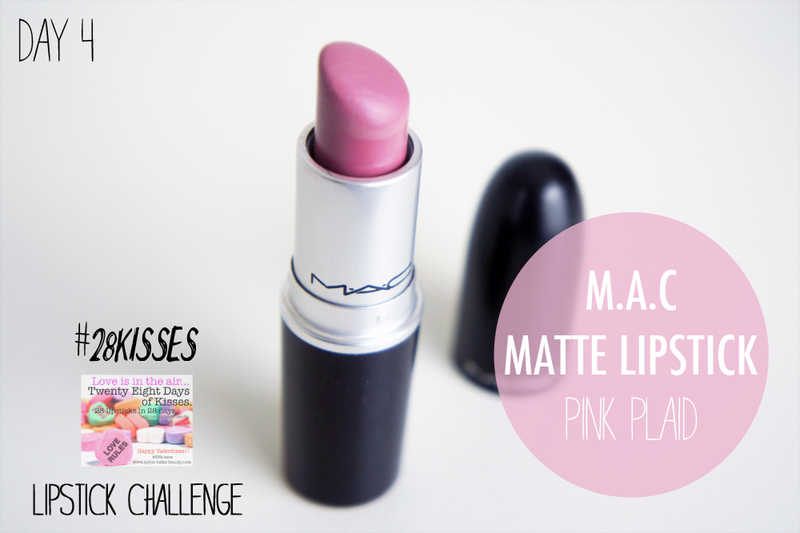 Tags: #28KISSES, LIPSTICK TAG, MAC Cosmetics, Mac Matte Lipstick, Pink Plaid. Bookmark the permalink. This is a really pretty shade. I love finding blog posts talking about other mac lipsticks rather than the usual hyped up ones!